My promise to you – You’ll reach more ideal clients and grow your business in this 21 day program. Nothing we do will be impossible or beyond you. Nothing will take more than a few minutes to complete. Once done, you’ll have built your business, learned some skills, and met some like minded people too. A lot of the content will be posted here in this post, some will be in the Facebook Group – join that HERE NOW. 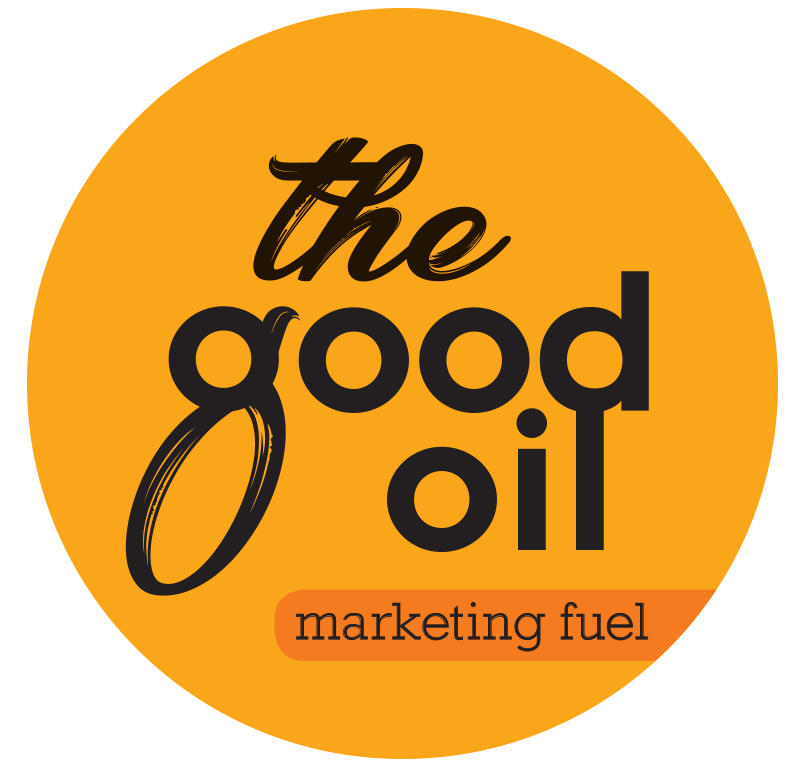 Hosted be me, Corey Hinde, principal consultant for The Good Oil – Marketing Dept. Kind of like an outsourced marketing department for small business. First of all…. I’ll tell you why people come my way, looking for marketing help. Fear that their business, product, or service, will fail. They know in their heart that they’ve created the best *thing* around, yet it’s not growing, and they are scared of failure. I have to say, it’s actually a well founded fear. You’ve seen plenty of great products fail. You’ve seen motivated, amazing people, fail in business. You’ve seen sure bets in business just not get the results that the owner was hoping for. It’s because of poor marketing. Marketing that’s not quite right. Big companies that succeed, have big marketing budgets – and great results follow. As the business owner, you have to be responsible for getting the right message, to the right people. So – let’s start fixing things right now. Over the course of this program you’ll get a taste for some of the tactical moves I make for clients who pay big dollars for results. >> Join the Facebook Group. >> In that group – introduce yourself and link in your business Facebook page. >> In this post, at the bottom, you’ll see “Comment” underneath “leave a reply”. In that section, I want you to comment, starting with your URL (website), then your name, then a very brief what you do. This becomes a “Backlink” to your website. These help Google push traffic to your site, by telling Google that your site is reputable and worthy. Most businesses that I work with, improve their website traffic by building in more backlinks to their site. It’s a process that takes time, but pays off very nicely over time. Each and every backlink to your site is helpful. Over time, you’ll build that number up using blog posts, mentions from other people, and feedback. For now, just get that comment done below, and introduce yourself in the Facebook group. Completing these tasks will greatly enhance your Google presence. Primarily – Search Engine Optimisation… OR – how much traffic Google will send you, when people are searching for what your business does. Having your Google Business listing complete is critical at this point… without it, you’ll be missing out on loads of web traffic and potential customers. Step ONE – Ensure you have a Google Business Listing. The information presented on the right hand side, shows that this business, Coombe Smith Property Accountants ARE set up with a Google Business listing. If your business does not appear like that, you’ll just see normal style Google results. You’ll generally know if your Google Business listing is complete, because you would have completed an application, and Google will have sent you a letter with a code to enter to confirm that its your business. If you DO NOT seem to have a Google Business listing, let’s get that underway right now. Next step is simply to follow the START NOW button, with the red arrow that I’ve pasted on that image above…. Enter as much detail as possible, and then wait by the letter box for Google to send your code to you. Warning – this step can take SEVERAL WEEKS, so be patient. Its worth doing, having a good, detailed Google business listing, with customer reviews, is one of the most beneficial marketing tasks you can undertake. Remember – Google will send traffic (customers) to the sites that they think are the best, and with a google business listing in place, they reward you. If you have any questions about this stage, please just ask. We can help you through this step. Step TWO – get more Google Reviews. Ever searched online for something like a plumber? Did you see that some had far more reviews than others? Google will heavily reward those with more reviews, and personally I’ll usually use reviews extensively when making shopping choices. Looking at this image again, you’ll note the right hand side red arrow is pointing at the number of reviews, and importantly here too you’ll see that they are all 5 star reviews. Getting more reviews is the easiest way to leapfrog your competition, and win more customers. To get more reviews…. You need to ask clients for reviews. Three – when you click on that button, you’ll be taken to a long URL (web address). Four – shorten the URL using https://goo.gl – this will give you a nice short URL that you can copy. Five – use that shortened URL in an email to customers, asking them for a review. We can discuss what to write in that email either in the Facebook group or you can message us direct with your draft letter that you plan to send out, and we’ll provide feedback for you. Any questions on that process – just ask! Don’t spend too much time if unsure, just get in touch, we are entirely happy to help out. This module is very effective, and not really that hard to do. It is a process that you should work through often, because things change and your clients change too. Work through these questions, and if possible run through them with other staff members so you get input from various angles of the business. Who is your ideal, most profitable customer? Describe them in detail. What main solution or product does your ideal customer purchase, and what key benefit do they receive from this? Review your last 10 ideal customers that came to your business. How did they find out about your business? In the last month, what marketing activity has worked for your business, and what has not worked? Please report these answers to us via the Facebook group, or email Corey direct. This information once thought through and documented, can be very powerful. It’s really just a variance of “do more of what’s working, and less of what’s not working”. Being able to gather the data to support those activities is very helpful. Ensure you have Google Analytics set up, Facebook Insights, and also ensure that every time you get a lead to your business, you know how they found you. This module is going to focus on some Facebook tasks, and a few extras as well. About Section. Please ensure that you spend time getting this right. It needs to be very clear about what service you provide, who it’s for, and the results they’ll get. Message Enabled – it’s truly amazing how many businesses have enabled their page to be messaged, but pay no attention to it! At present, I own a company in the financial space, and it’s amazing how often our Facebook page is messaged for information, customer service, and general enquiries. I strongly urge you to enable the messaging feature of your page in the settings. Settings >> General >> Messages >> People can message my page privately. You might be missing out on genuine business enquiries by not having this done. I’ll be blunt here too… I’ve had business people over 50 years old question me on this…. the communication channels have changed, move with the times. It was email 15 years ago, now it’s messaging. The main areas of the insights tab I get clients to focus on at the moment are engagements, E:F ratio, and pages to watch. Engagements. This is the current secret sauce. Engagement means that someone has taken an action, eg Comment, Like, or Share. It seems that comments are getting great rewards lately as an even higher priority, but for now I urge you to keep a weekly track of your engagements. More engagements means that your Facebook activity is the right stuff for your target audience. You should focus on this a lot. E:F Ratio. What is this? Engagements divided by Followers (or Page Likes). Eg last week most of my clients achieved around 0.5 to 0.8, whereas 2 clients were well over 1.0. This means that the 2 clients over 1.0 produced Facebook content that was very engaging…. and both of those companies are GROWING…. that’s what we want! I’ve seen companies with E:F ratios of 0.2….. and they are not growing. So focus on that ratio, the engagements are more important than total page following. Pages to watch. This is totally awesome…. You can basically stalk your main competitors! The key benefit here is you can compare your current page likes, your current engagement this week and number of posts in the week. Knowing what your key competition is up to is a very powerful data set to have when working on your own marketing engine. Can you tag more followers and influencers to give them some attention and then leverage from them as well? I’ve seen some business growth, this year, simply from mutually beneficial post sharing and contests as well. Can you shoot more video? How to videos in your niche or area of expertise? There is still a lot of value to be had from investing time and some money into your Facebook activity! Many business owners are still pumping money into marketing activities that have little obvious return… with Facebook you can see returns easily. Are you on Linkedin? Can you connect with more people and add some valuable content to Linkedin? Linkedin is growing fast in 2018 while other social platforms are not growing as fast as they were a year ago. The connections are different to Facebook, and in many cases far more rewarding. Okay team, we are getting into some fun stuff now. If you’ve completed all modules before this…. you are doing well. Many small businesses that I consult to, are not doing all of the actions before this step. Simple things like getting your Google Business listing working well for your business, can be the difference between life and death for a small business! Onto the content for Module 5. Simply work through these sections, and if you have any questions, please jump into the Facebook Group HERE and ask me. This module will take a day or two to complete… don’t rush. There are plenty of helpful tools that you can use, that cost zero! If you are time poor today, just go to my Free Resources page HERE, and check a few out. I’ll be adding more tools to that page from time to time. Most of them on that page, I personally use and have clients use as well. www.canva.com – this site is just fantastic for creating content, infographics, logos, pretty much anything design related. I’m NOT saying don’t use a designer for important stuff, but for social media posts etc, this site is great. www.hellobar.com – useful for helping you build your email list. It works. https://backlinko.com/ – Backlinks to your website, an amazing way to build more web traffic and convince Google that your site is awesome, therefore sending you more customers! Just work through that list of free resources, and think of what you can use, and get started. I am available at my usual consulting rate to help you implement anything here by the way. Google Analytics – you MUST have Google Analytics set up for your website. You have 2 options here…. do it yourself OR pay someone like me to do it for you. It’s a must, without it, close your business right now, you are doomed! I challenge YOU, today, to produce 1 video, of LESS than 1 minute in duration, for your Facebook page. Shoot it live if you like. What I want you to do is explain ONE THING that pops up in your business often. Get used to shooting video. Practice makes perfect. I’ve personally done live TV interviews, multiple times. I’ve done hundreds of Facebook Videos. I’ve been paid thousands of dollars (I’m not making this up) in speaking fees….. and I can tell you ONE THING….. Becoming a good speaker on video is not a natural thing. It takes time and practice. You need to watch them, review them, improve aspects at all times. I cannot emphasize this point enough. Everyone can improve. I challenge you, to create ONE blog post, that is evergreen. What this means is something that is relevant now, and will be relevant in 6 months time as well. An article that explains something about your business but is not current news. You can use this blog post for your website, your Facebook page, your personal Facebook page, your Linkedin profile, an email out to clients…. use it well. This blog post here that you are reading, is an example of an evergreen post. It’ll sit here, and attract web traffic for a long time. The content is not time based, it’s useful now and will be useful in a year. When people contact me, I can point them to this blog post, and they’ll see that I know my stuff, and that I have useful information for them. Got the idea? Any issues, just ask me. Happy to help. You can use the Facebook group for quick tips, or if you want to book me for some consulting time, I’m available on Wednesdays for consulting time. This is easy, quick, and might help your business more than anything else you do this year…. Run your website through Website Grader… it will analyse your site for several key elements, and tell you exactly what to do. If any of these are not optimal, you’ll be losing web traffic and customers. If you are concerned by the results (most clients have something to do based on this test) – get in touch and I’ll help you make some decisions about what to do. This module doesn’t look like much work…. but it’s really important. Social proof. People do what other people do. This is a very important idea in marketing. Web traffic – as mentioned earlier, the more reviews you get on Google for example the higher you rank on Google. The more Facebook reviews and website testimonials you get, the more friends and family of existing clients buy into your story, and are more likely to want to use you. Avatar – what is this? Getting testimonials, or reviews, from your perfect clients, will help you attract more people just like them, and also help YOU to clarify exactly WHO you are serving, and wanting to attract. Get ONE testimonial, from a perfect client. Select your perfect client carefully, and feel free to give them a gift voucher or something to reward them. “Hi John, thanks so much for being such a legendary client… we’d love to get a testimonial from you, because you are more or less our perfect client! Because you’re such a champ, your next visit is ON US – yep, total freebie…. Content creation needs to be a key part of your online marketing strategy. Can be whatever you want. Videos, checklists, articles, blog posts, pictures, Facebook Live, anything that you think you customers want to hear about really. Getting your content out, is a very effective way to show people that you are an expert in your thing…. and you are the best business for them when they need an expert in whatever it is that you do or sell. It can generate leads to your business for a very long time. Compare that to a radio ad that you pay big money for, and then it’s gone…. So – how do you create content? Here is a list of ideas to help you think of ways to create content for your website blog, your Facebook page, your email list, and more…. BuzzSumo – this is a website that helps you search for articles that are getting lots of shares and online attention at the moment. Very worthwhile checking it out. Blogs in your industry. Let’s say you are a mechanic. There will be blogs and online commentators out there publishing articles. You can link to some of them, or get ideas from them, or even talk to the authors to see if they’ll write something for you. Content Curation. This is where you link to another article, and provide your own expert comments. You might do this in your email newsletter, or on your Facebook page. Show people that you are an expert, this technique works well. Staff Ideas. Simply talk to your staff. What are customers asking about? Do they have any ideas for articles you could write? Remember, a good blog article on your website may well pull in more google traffic than you have ever seeen, if it’s written with the right keywords and is a good topical piece of information. FAQ’s. What do people always ring up and ask your business? What are the key problems your customers face? Write about them, chances are lots of your ideal customers are searching online for the same stuff. Checklists. These are always popular online, and rank well with Google. Running a real estate business? How about “7 Top Tips for prepping your home for sale”. Mechanic? How about “Winter safety checklist for your family vehicle”. Write stuff that is directly helpful to your customers, people will find your site and page because of it. How To’s… I love these. Hugely popular online too. Give people help and advice that they are searching online for, and when they need the professionals, you’ll be top of mind. Running a gym? How about “how to do a proper squat” or “how to prepare the perfect breakfast”. Talk to your perfect customer as much as possible..
Before / After. Running a fencing or building company? Get as many before and after photos on your website and Facebook page as possible. Visual stuff works! I cannot recommend putting out content highly enough. Show people you are the expert, build your brand and awareness. Content marketing is a far more effective way of marketing than anything else…. Using the list above, think of a piece of content you can create for your website and or Facebook page right now. Feel free to link it below in our comments section so we can all like it for you…. Find 3 business owners, who are servicing customers like yours, and reach out to them. Just say hi, we have similar customers, I wonder if there is a way we can help each other out? For example…. Can I give away something of yours on my Facebook Page? Can I provide a discount code for your next newsletter? Can I give you something to giveaway on your page? Can we agree to like each others Facebook posts and generally support each other? As always…. any help required, just reach out to me and ask. Referrals and Point of Wow! This module is here to help you get feedback, build more referrals, and to get people talking about your business. Getting people talking about your business, in a positive way, is a great strategy that always pays off. But… we’ll start with gathering feedback and reviews, and referrals. When I meet with a business owner, very often they tell me that they have a lot of referral business coming their way, however they don’t have an established process for making that happen. Let’s start with a feedback form from a client of mine – Ninmo Productions. These guys are video producers, based in Hamilton New Zealand. They help people with all aspects of their video production, from filming to editing and everything in between. Once a job is complete – Jody the owner will send an email that contains a feedback process that I really like. ONE > Having a process in place is key. Setting up a standard operating procedure like this is a great move. TWO > This form is great for getting the all important reviews, and it’s simple as the links are in place. The biggie for me is the reward…. if you complete all the steps you get a free video valued in the hundreds of dollars range! People love rewards and incentive… great move. There is also (see big red asterix) a great question about how they heard about Ninmo, so they can tweak their marketing efforts going forward. Great idea. THREE > My major improvement here would be to turn this page into a REFERRAL machine. This is the step that most businesses miss…. Suffice to say.. you need to be able to give an incentive, a good incentive, for a referral. It’s highly likely that a client who has used you, knows several more ideal customers, so let’s find them, and give your customer incentive to refer them. I personally love the idea of free stuff, so I’d directly reach out to any small business owner I know, to cash in on my freebie…. What can you do to dig out those referrals? Give away something good… get people taking action. It’s no good to hope that people refer you, you have to give them a real incentive. Make it a standard process – and use it. For my business, which is Outsourced Marketing Management, I tend to get long term clients, so I can afford to give away a good reward…. so here it goes…. If you refer a client to me, that signs on to my monthly Outsourced Marketing Manager program, I’ll give you a $250 voucher to any store of your choice! Now that’s a good incentive. I’m serious of course, my clients are usually with me for a long time, so I can afford to give away a big incentive, it saves me a lot of time, and actual advertising cost too. What can you do to get people taking action? Another method you could use is to email your database….. Thanks so much for being a rockstar customer. We would love to help more people, just like yourself. For the next 7 days only, we are running a referral promotion. It’s really simple – just forward this email to a friend, and if they become a customer, you’ll both get a bottle of wine from us, for free! We know you probably have friends that you think might like us, so now is the time to act. I personally would then do a deal with the local bottle shop to get a good rate on some wine. A simple promotion like that can add serious value to your business, that continues on and grows upon itself. The cost of the wine etc is irrelevant, it’s a small cost that you’ll forget quickly as the phones start to run hot. Have a referral system in place.. Use it. What do people say about your business? I hate BORING. There is plenty of boring in this world. I like innovation, points of difference, and interesting stuff. If they answer with “customer service”, I usually attempt to then beat them up, and stab them with a pen! Okay – maybe I don’t… but you don’t stand out for your service. I’ll believe that when other people rave about you online etc, not when you tell me. Very often, I’ll meet with clients who are doing exactly the same things as their competition. From the packages they offer, to the website content they have, down to the Facebook content they promote etc etc. You have to develop a point of wow! Something that people actually rave about – what can you do? This part of the module is more of a thinking process for you…. but here are some examples that I have seen work. A lawn business, also in Australia, gave away premium beer to clients with every booking – again, they never had to compete on price, the landscapers loved the free beer! My personal mechanic washes my car entirely, every time any work is done, even if it’s just a warrant of fitness! I love that personal touch! An insurance broker here in NZ was offering up free accomodation in Fiji for any person switching to his service. The brokers mostly offer the same deals, so that was quite compelling. If you are a mechanic – how about free light bulb exchanges any time, free of charge, client or not? Tiny cost, and would win clients from other mechanics, plus get people talking. If you are an electrician – how about a free safety check in your home, any time? Would take minutes to complete, and get people talking. Sports Illustrated, the sporting magazine, ran a great premium offer for many years. They would add in bonus items to their basic subscription, that seemed almost too good to be true. They knew that people would keep their subscription for a long time so it was still a profitible campaign. You have to know your numbers. How much does your average customer cost to acquire (all marketing costs in a year divided by number of new customers) – how much do they spend on average, and how often do they use your business? Once you know those numbers, get brave and do things that stand out, and draw people in. The point here is you want to get people talking about your business, and referring customers to you. Learn from other businesses too. You heard about my mechanic who washes cars? What can you do that is like that? Any help required… just reach out! In this module we are going to cover 3 things that are all critical parts of a good marketing engine for any business. These are a great idea and a cost effective way to build any business. Think Strawberries and cream…. Doctors and Pharmacy’s….. Mechanics and Tyre Shops..
Who can you partner up with, work alongside, help out and in return get help from? Is there a business that services your exact clients, in a slightly different way? You’ll notice fast food franchises congretating around similar areas.. it’s a smart play. They aren’t competing, they’re actually helping each other out. The challenge for course participants right now is to find a business to partner with. Talk to them. Offer their next newsletter a deal of some kind, or help them out in some way. Joint ventures on the other hand are actual business projects done with another business, for mutual gain. For example the local mechanic might offer up free tyre and vehicle safety checks coming into winter, and both themselves and the tyre business next door would send that notice out to all people on both databases. My marketing business might put together a video marketing deal with my video guy. The Good Oil designs the campaigns and targets the correct people, Ninmo Productions (my video guy…) shoots and edits the footage. We share the profits, the clients get an extremely good, targetted campaign. Who can you work with?? This is a whole course of itself. If you are not conducting email marketing to your database and prospects, you should be. It’s the most cost effective marketing method around. Businesses that improve their email marketing, grow their business. ONE – just start. Collect email addresses in any way possible of all customers and people who enquire about your business. TWO – sign up to an email provider like Mailchimp or Ontraport. So much power in these machines that you’d be insane not to be using them. THREE – put together a give give give give ask campaign. Give loads and loads of interesting information and content, show people that you are an expert, and only once per email, ask for something. A deal, click on this link, take up this free ebook offer. Talk to your idea customer, in a way that peaks their interest, in a way that is relevant to your company and what you do. The key is… just start! FOUR – once you’ve started, pay attention and continually improve what you do. Listen to feedback, track the data (open rates, click through rate, sales), and keep improving. CTA stands for Call to Action. This task is incredibly simple. Then ask a friend the same question. Did you get the same answer? You are smart enough to know why I’m asking this. Every piece of marketing should be aimed at the right people, and you should have a desired outcome in mind. Is it to sign up to something? Make a comment? Directly purchase something? Yep Corey; that fear is a killer bro! So happy you have your group and tribe set up to help folks build powerful marketing campaigns on sound fundamentals. You are doing a tremendous service my friend. Thanks for sharing. Yes sir – fear needs to be broken down… thanks for commenting Ryan. Keep enjoying that wonderful South Island! Thanks Maree! Welcome to the program. SO great to reconnect Kate – welcome aboard and well done with your business growth so far! Linear Fencing is proudly family owned and operated. We specialise in Laminata timber fencing. Colin Bower is joining us for this program – Vehicle Leasing in Tauranga, New Zealand. Hi, yes that’s me along with my sister Leanna Veal and are both extremely passionate about helping people recover from their injuries. Corey has been helping us grow this year and he is fantastic. I am really looking forward to this 21 day challenge. Ninmo Productions is a locally owned, full service video production business based in Hamilton, New Zealand. Hi my name is Julie . I am a wellness advocate for doterra essential oils. I am married to Darryn and have 3 gorgeous kids. Josh Nyika and Hayley Boud from Gurnell Harrison Lawyers are on board.